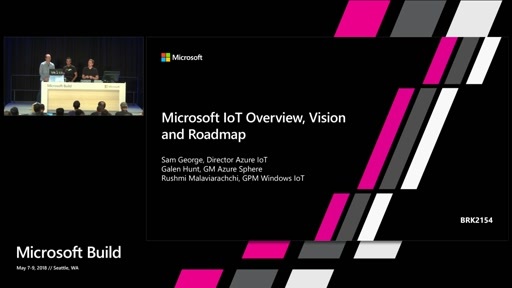 In this session, we will provide an overview of the Microsoft IoT portfolio. 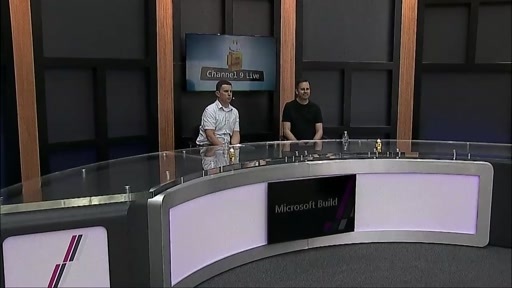 Attendees will see how easily they can create solutions using Windows IoT “Athens" on mobile and industry devices. 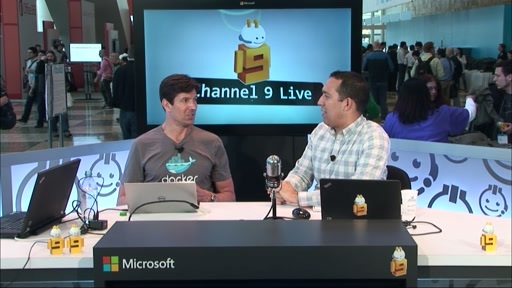 We will show Windows services that allow you to codelessly gather data from these devices to assess health, to manage state and to keep these them up to date. 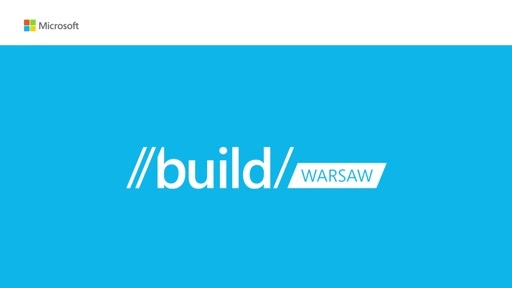 This session will also cover the Azure IoT Suite, a comprehensive cloud-based offering for IoT that enables customers to quickly provision end to end IoT solutions supporting a wide range of devices and operating systems and take advantage of cutting edge Azure capabilities like stream processing and machine learning to power their businesses. 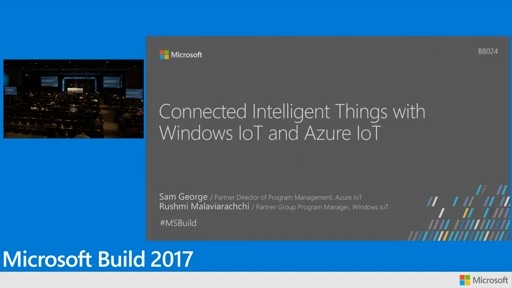 The Azure IoT Suite will work great with Windows IoT, and also Linux, Android, iOS and even real-time operating systems. 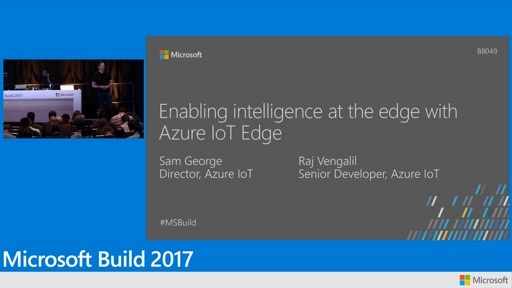 You will leave this session with an understanding of the full spectrum of Microsoft IoT offerings to rapidly assemble solutions to create your digital business. a big thumbs up ! 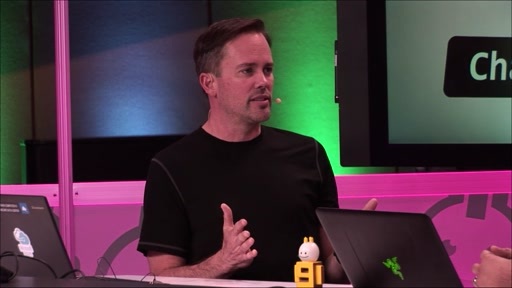 In other IoT sessions, Steve said that Windows Embedded Compact would be continuing, since it had real time capabilities needed for some users. 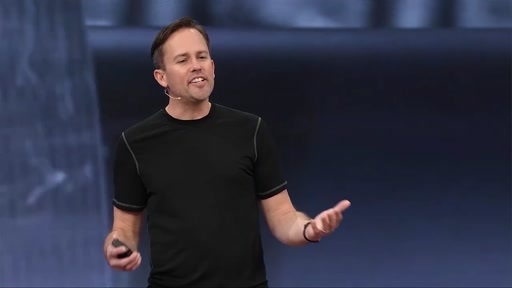 Is there a plan for adding that capability to the Windows 10 lineup? Good Start with IOT. waiting to see more.. I would watch this, but the video keeps restarting from the beginning. What the *? to Philip: try to use another browser. Latest version of Chrome works fine for me. I Albert Bongani Sibisi hoping that@ch9 or this windows we will have an access to create more thinks as your give us that 0potunity! Learn more. # regards Thank you!